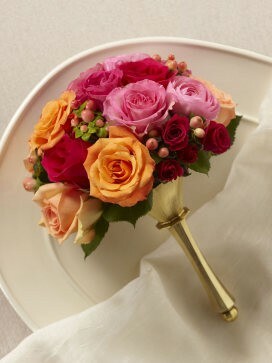 A creative combination of captivating colour produces this vibrant and elegant bridal bouquet. 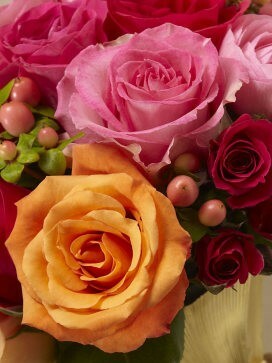 This bold, bright and beautiful bridal bouquet features; orange, peach, pink and fuchsia roses, fuchsia spray roses, pink ranunculus and peach hypericum berries. 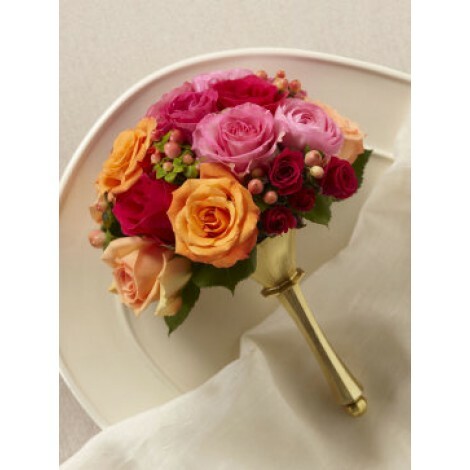 Hand-tied and presented in a charming gold metallic bouquet holder.